Announcement Welcome to Blue Jean Girl Designs! I'm an insanely creative mom of 4, who is rediscovering herself and the love of earthy, country, and bohemian styles.... and accepting that I'm just a Blue Jean Girl at heart. You will see more pieces coming out that will reflect my hearts desire so be sure to stop back for a visit soon! 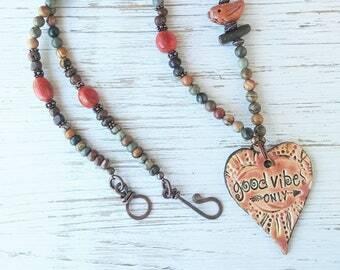 ****FREE SHIPPING for New Friends! Sign up for emails here, https://mailchi.mp/e6d0082ea5b8/bluejeangirldesigns and receive early access to new arrivals, sales, events and more. Plus get FREE SHIPPING on your first order! 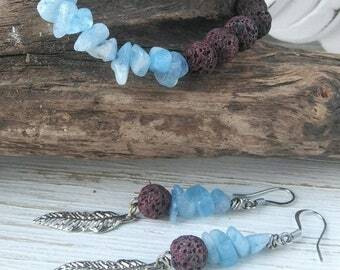 ♥I specialize in creating unique and casual jewelry pieces for the blue jean type of girl. 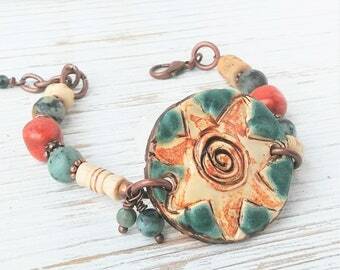 Semi-precious gemstones, Wood and Czech Beads, Copper and Stainless Steel are some of the quality materials used in making these eye-catching pieces for you, the blue jean girl. ♥Most listed pieces are ready to ship out in 1 - 3 days from the date full payment is received. All orders are shipped with USPS. 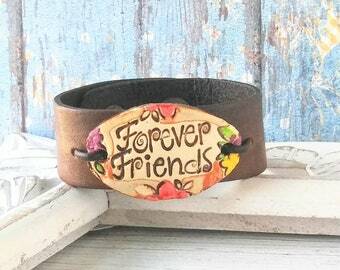 ♥Blue Jean Girl Designs ~ Casual Jewelry for the Blue Jean Girl. 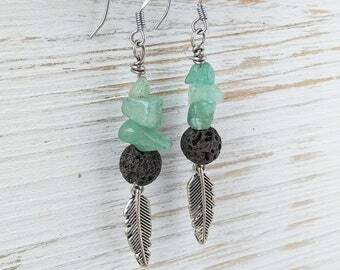 I create mostly one a kind Bohemian Style Jewelry, Hippie Chick Jewelry, Boho Chic Bracelets, Beaded Bracelets, Wrap Bracelets, Gypsy Soul Earrings, Semi-precious Stone Jewelry, Christmas Gifts, Mother's Jewelry, and Valentine's Day Jewelry. Please message me via the CONVERSATIONS button here on Etsy, if you have any questions or seek a custom design. This is the best way to quickly reach Blue Jean Girl Designs. Since I use a wide variety of materials in my jewelry, it is best to say that these creations should avoid water. Some metals can tarnish when exposed to air. I keep my personal collection in dry sealed plastic bags to keep them looking new. You can gently rub with polishing cloth when needed. 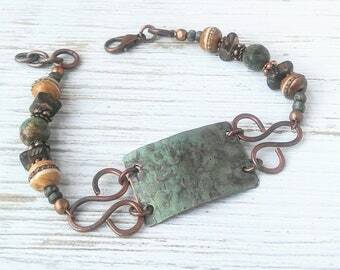 "Second custom bracelet from BlueJeanGirlDesigns. Great communication with seller. Would highly recommend. Thanks." 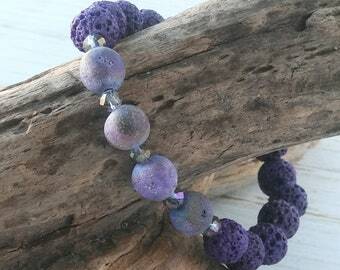 "My bracelet was customized for me with sodalite blues and gray. I sent my own heart-shaped pendant to BlueJeanGirl. She added my pendant to the bracelet. My bracelet is beautiful, very well made and was finished and sent to me in a very short period of time. I would highly recommend BlueJeanGirl for a custom item or to purchase an already made item. they are perfect!!" "Just received my bracelet today. I LOVE IT! I special ordered it and Renee did a fantastic job. It is just what I wanted and shipping was fast! Thank you, Renee!" "I ordered this for a friend and nothing went right on my end, Renee worked with me on every aspect of it and patiently waited on me to get my ducks in a row. This was my first order of many more to come! Her pieces are amazing and her customer service can't be beaten! During our emails back and forth not only have I found a great place to buy gifts, but I've also found a new friend! I can't wait until I have the chance to order again." 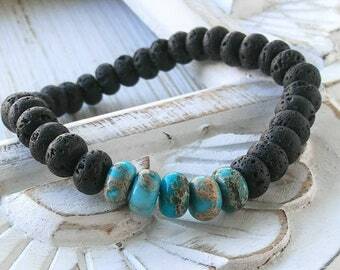 "A cute little bracelet and well made! The packaging was adorable too! Thank you! 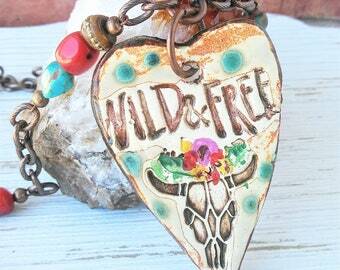 Welcome to Blue Jean Girl Designs! LOVE my piano necklace!! Thank you for your cooperation, patient and amazing art you made for me. Loved this bracelet - got it as bridesmaids gifts for my winter wedding. Needed darker blues, though, and the seller worked with me on that. She was very prompt in her responses, easy to work with making the customizations, and got the bracelets done very timely. The finished product looked even better in person, and everyone loved them! Definitely recommend this small business. Stocking my shop for Valentine's Day! Finished custom request with buttons supplied by the customer... Special family heirloom now. Thank you for helping Orlando during this tragic event. $8 of your purchase of the Rainbow Bracelet will be donated to aid the victims families. Treasured Sweets was born the same year as my youngest little, in 2008. While I am one proud mom and love being one, I needed something to itch that crafty bug I've had since I was 8 or 9 yrs old. I am sooooo grateful I did and it has been well received by the sweetest people. I am now a single mom and this has been a blessing helping us through some tough times. It has been very rewarding to create on a larger scale and be able to provide and care for my son. We spend a lot of time together. In our free time we enjoy riding bikes, bowling and Skylander hunting (not my favorite but it makes the little happy and I guess makes up for the craft supply shopping!) Our backyard is host to many beautiful butterflies, which is a spectacular sight and quite educational. In 2014, I started a BackPack Project with my son over the summer and it just continues to grow. Sadly, Orlando has a high population of homeless people. We see many during the course of the day, every day. I gather personal hygiene items, snacks and water to fill backpacks and then distribute in our travels around town. I am glad to teach my son compassion and to be able to give back to help others. Local businesses and friends from all over have been generous to help us keep the project going. We are so glad you found the Sweets! We certainly hope you stick around with us for more years to come. We truly appreciate being here! Hi friends! I'm originally from upstate NY, in 1998 I came to FL to escape the snow. I have been crafting one thing or another since the age of 8. Along with my kids, creating is my pride and joy! My 9 year old son, Erik, is joining us with his very own creations this summer. He is a purple belt in Karate and also loves math, bowling, music and has been blessed with the creative gene too! Find his work is in the category, "Erik's Corner". 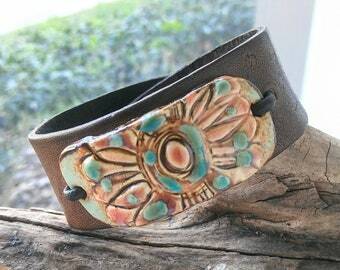 I design and create casual chic jewelry for the blue jean type of girl. If you are looking for a specific color combination, please contact me about a custom order! I would be happy to create your vision. Blue Jean Girl Designs (and/or Treasured Sweets) does not offer refunds or exchanges. If your item has arrived damaged, please let me know within two days so we can work out a solution that is acceptable for the both of us. I will always request pictures of damaged goods including the packaging in which it arrived. This is necessary in order for Blue Jean Girl Designs (and/or Treasured Sweets) to file a claim with USPS. While I appreciate my customers greatly and strive for excellent customer service, refunds are not available and all sales are final. Payment is due at checkout. I currently accept all major credit cards, PayPal and Etsy gift cards. You do not need to have a PayPal account to pay through PayPal! I charge sales tax for all orders purchased in the state of Florida at a rate of 6.5%. Any packages returned due to wrong or incorrect addresses will be reshipped at the cost of purchaser. You must contact me with payment method and new address. If you are sending items as a gift please change the address on the shipping prior to submitting your order. I do my very best to ensure your purchase arrives to you in tact and in a timely manner. Please note that the services of USPS do not reflect the service of Blue Jean Girl Designs (and/or Treasured Sweets). With that being said, if you receive an item that is damaged in the process of shipping, please contact me within 2 business days of receipt. Pictures of the damaged item as well as the damaged packaging are required. Even though a package has been shipped Priority Mail I cannot guarantee the delivery date. If your package has not arrived two weeks after being shipped please contact us. I will either assist in locating the package and have it delivered to you or replace the item at my cost. If tracking shows that the item has been delivered to your address, I will not replace it. Blue Jean Girl Designs is a United States based business and website. We currently do not market to or sell to individuals in the European Union (EU). Our jewelry collection should not be worn while bathing, swimming or any other activities where the piece is subjected to water or liquids. To keep our jewelry looking it's best, simply wipe with a soft jewelry cloth.